Guide to reaching Naples by train from major cities in Italy such as Rome and Milan. Our guide includes estimated journey times and a prices for the various train types that are available. Naples is connected to the major cities in Italy by rail and the main train station is Stazione Centrale situated at Piazza Garibaldi. Prices and journey times vary depending on the type of train taken, and the time of day. 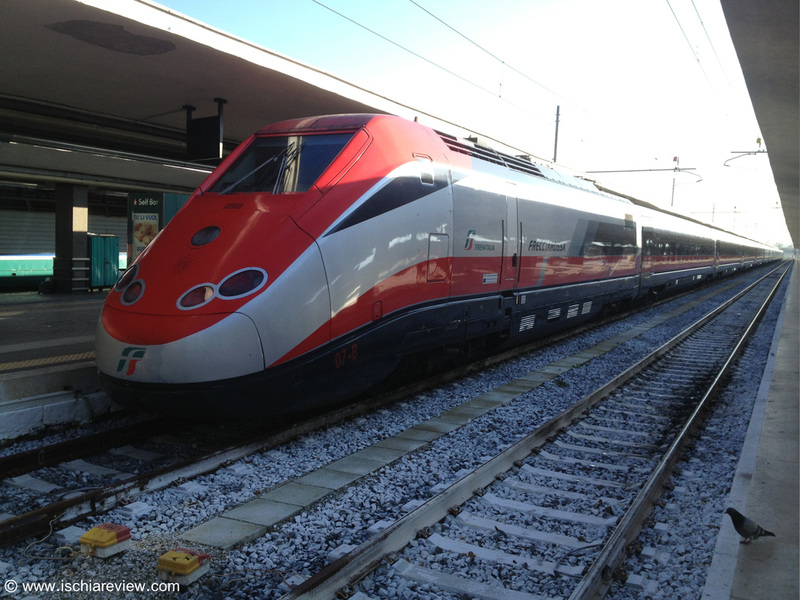 There are a number of different services available, from the high-speed Freccia Rossa/Argenta trains to the slower Regionale trains that make frequent stops along the way. The following prices are a guide only as the rates change frequently. For greater accuracy use the links to the Trenitalia & Italotreno websites below. From Milan to Naples there is little or no cost saving to be made by taking the Inter City or Regionale services and the journey times are around 9 or ten hours or an overnight service. Train tickets in Italy can be bought at the train stations or on-line in advance of your journey. See links to Trenitalia and Italotreno websites below.